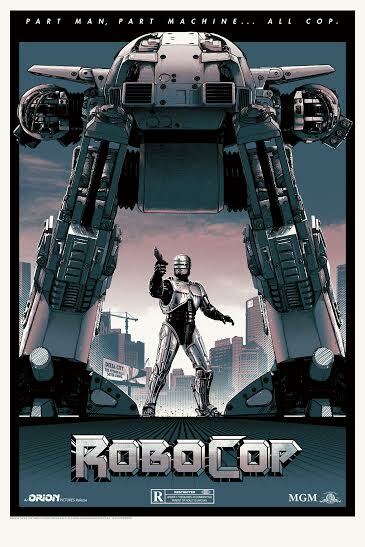 THE B-MOVIE NEWS VAULT: Dead or alive, this ROBOCOP poster from Grey Matter Art is coming with me! Dead or alive, this ROBOCOP poster from Grey Matter Art is coming with me! 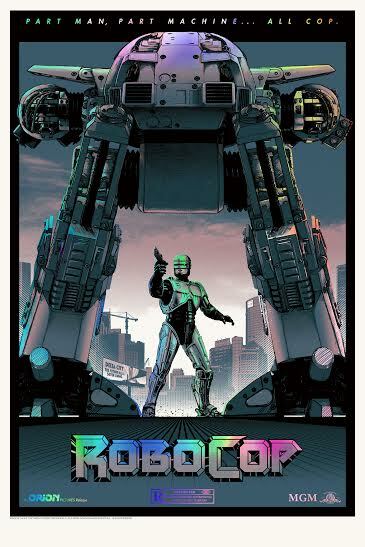 It's been a little while since I've heard from my pals at Grey Matter Art, so it was a pleasant surprise to get an e-mail from them the other day, letting me know about they have a new ROBOCOP print available! Created by Matt Ferguson, this cool poster features Detroit's famous Crime Prevention Unit as he's about to face off against ED-209! There are two versions of this poster available for purchase: The regular poster is limited to 125 prints at $45 each, and the foil variant is limited to 75 prints, each going for $70.00 apiece. Gaze upon their glory below before you order one HERE. The guys from Grey Matter Art will be peddling some of their beautiful posters at HUDSON HORROR SHOW 12 next Saturday in Poughkeepsie, NY,! (Get more info about this awesome all-day 35mm horror & exploitation film fest HERE.) Even if you don't pick up one of the last remaining tickets for Hudson Horror Show, you can still come into the theater lobby and shop around at all the vendors, including Grey Matter Art! 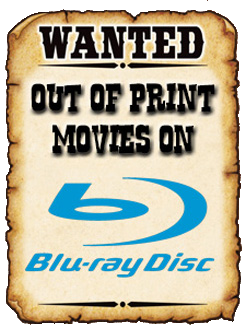 Stop in at the Empire South Hills 8 theater on December 12th and pay them a visit!